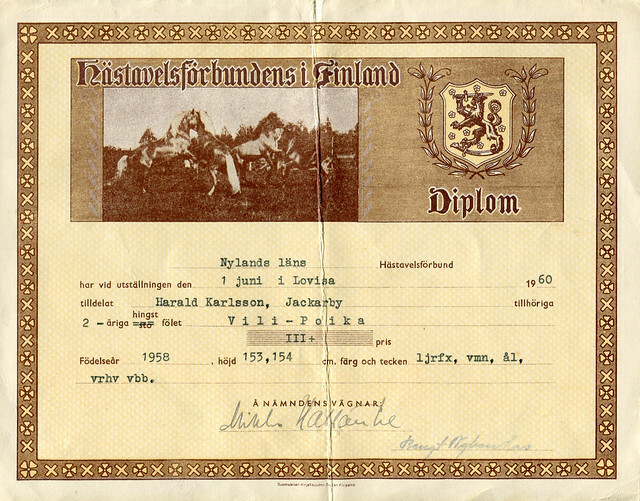 Smerikal has found these beautiful certificates from 50s and 60s. 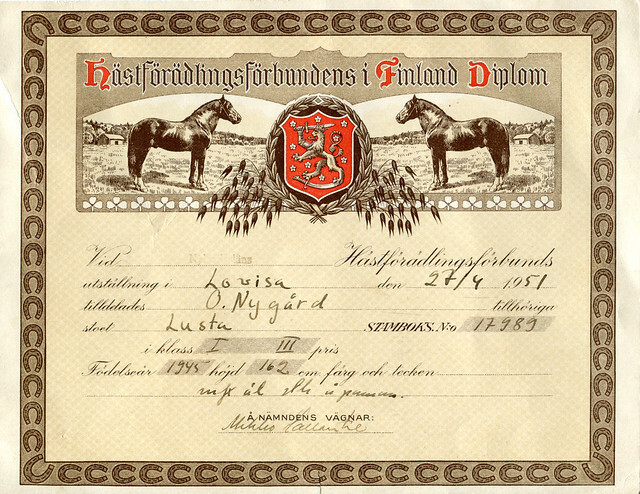 Lusta’s prize certificate from Myrskylä races held 30th of March in 1952. She got a 500 mark prize for her 4th place and another 500 for her 3rd place in another race. Tough mare! 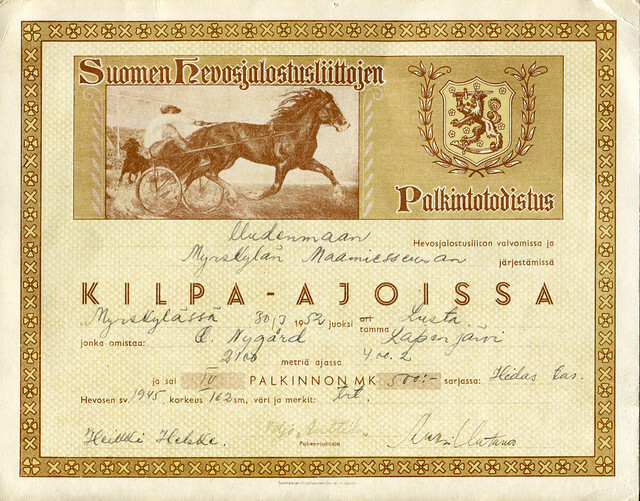 Young stallion Vili-Poika received a III+ prize from a foal show held in 1960 in Loviisa. Lusta was inspected for studbook in April 1951. Categories: Art & Culture, Harness racing | Tags: breeding, Equestrian, finnhorse, harness racing, horse, raviurheilu, suomenhevonen | Permalink.